The medicine wheel is an enduring source of counsel. 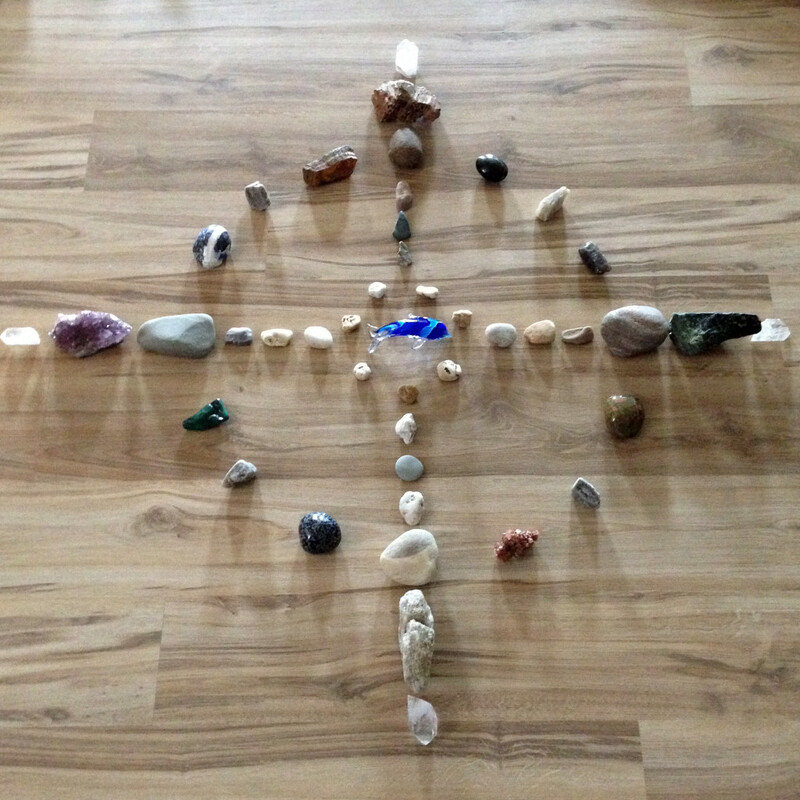 My personal spiritual practice is an ongoing tracking, surveying and mapping life’s journey around the medicine wheel. The ability to understand changes happening in my own life as well as my clients stems from my study and application of the medicine wheel. East Medicine: Your point of view and attitudes shape your experience and quality of life. South Medicine: Express yourself creatively, especially in spiritual affairs. West Medicine: Honor the true teacher, the divinity that lives within you. North Medicine: Care for your physical body and planet Earth. 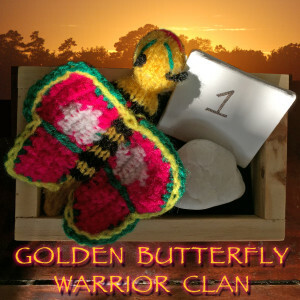 The last Sunday of each month, I host a healing circle in Rehoboth Beach: The Golden Butterfly Warrior Clan. It is open to the public, so bring a friend for a fun and spiritually nourishing evening. Click here to learn more. I offer free consultations. You may contact me here, or schedule an appointment to speak in person at my studio space at dimitraYOGA – 302/227/3450. The wisdom and technology of shamanic practices are not new methods, but are probably new to you. I am here to support you in the process of healing and want to see you successfully integrate this wisdom in an empowering manner. In this consultation, I can help you determine which healing service would be of benefit and discuss your goals and expectations. The medicine wheel is a stone circle that is a cosmological schematic. This wheel is the basis for the symbolic representation of the way of the shaman. It is a map on both a large and small scale, both the micro-scale of our own personal experience and the macro-scale of the entire universe. Whether the wheel is indoors or outdoors is pale in comparison to knowing that we are always connected to the wheel and to the ethereal realm. The medicine wheel is also non-denominational, so there is no religion and no dogma required. It is a mandala, a map, a chart, a geometric pattern. It is a diagram of wholeness that represents the cosmos metaphysically or symbolically. It describes all the parts and how they fit together. It explains and defines relationships. The universe is alive, conscious, filled with power, intelligent and always communicating its wisdom to who ever makes the effort to listen to the unceasing unfoldings of cosmic guidance. Click here to learn more about the medicine wheel.